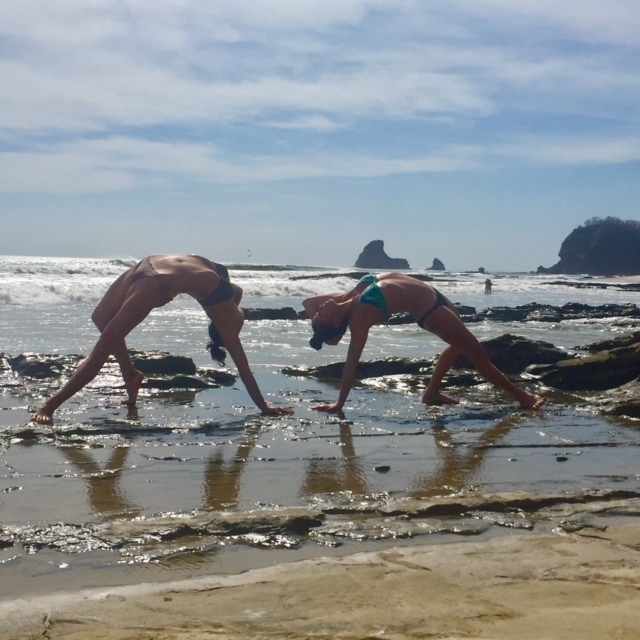 Join Emily and Raquel in a secluded jungle eco-lodge overlooking the surf at Playa Maderas, 8km north of San Juan Del Sur in Nicaragua. Guests at Buena Vista Surf Club switch off their smartphones, unwind and give in to the simple life, surrounded by lush forest and the Pacific ocean. This is a place for people who want something different – to stay in a private cabaña amongst the trees, share family-style meals with like-minded people, watch the sunset and the stars from the deck in the treetops, and stroll five minutes to pristine beaches. -Flights are NOT included We will send you recommended flights to book upon registration. -Surf Rentals and Lessons which can be booked right at the property. Payment via cash, check or PayPal. Payment plans are available. If you cancel your trip more than 90 days prior to your retreat start date, you are eligible for a full refund (-3% PayPal fee if that was your method of initial payment) if we are able to fill your spot with another retreat participant. After this point, all trips are non-refundable.